Swami learned a valuable lesson during firearm deer season. After being shut out during the hunt, the All-Knowing-One saw plenty of the four-legged creatures laying in front of disabled vehicles along the highway when he went back to work. Swami went 24 years in a row without being shut out, but this year as a little discouraging. The lesson here is that nothing is guaranteed, whether in hunting or in sports. You have to be in the right spot at the right time. With basketball season in full swing, there will be plenty of games where coaches and players will search for reasons for why they didn’t win. Sometimes the answer is something simple. Other times it’s not and may take time to figure out. Just remember there is always a reason for everything; it is just a fact of life. ALPENA (2-0) at TAWAS (0-1) –Friday (Boys)–The Wildcats have been in sync so far. Tune-up games against Bay City Western and Sault Ste. Marie have been lopsided affairs. After some time off, it’s time to see if the Wildcats can continue their success against the Braves. 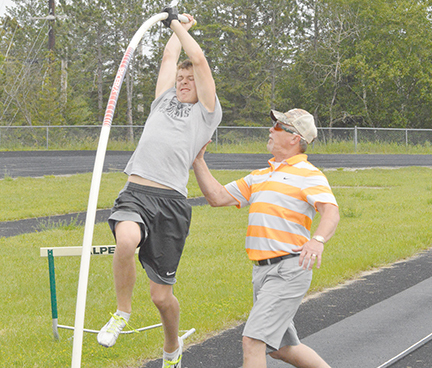 Chris DeRocher has been a go-to guy for Alpena during his varsity career and this season looks no different. He has received double-digit help from Aidan Goike and Bruz Copping. Swami sees Alpena has more depth this season. The senior laden squad has worked well together and isn’t timid on defense. The All-Knowing-One likes what he has seen so far; everyone knows their role and continues to push each other to become better. Tawas opened against Pinconning, building a nine point lead before succumbing in 51-47 game. The Braves’ one-two punch of Camden Groff and Josh Maynard had 17 and 15 points respectively, but couldn’t match the firepower of Pinconning in the fourth quarter. Swami doesn’t want to give the Wildcats a big head, but these games are tune-up games for the grueling Big North Conference grind ahead. The All-Knowing-One knows any Big North team has the ability to win on any given night and Alpena will have to play hard every game. 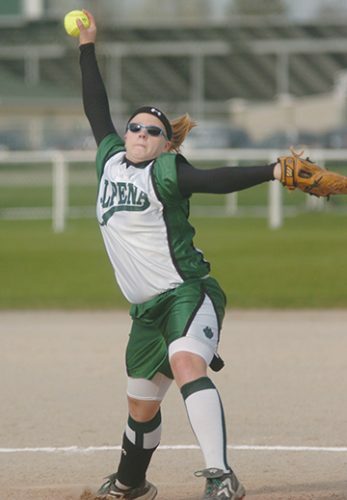 First things first: Swami feels Alpena has more athleticism then the Braves, which will put Tawas at a disadvantage. The Wildcats’ up-tempo game, will break the defensive pressure of the Braves, leading to easy buckets. Swami Sez: Alpena 68, Tawas 41. 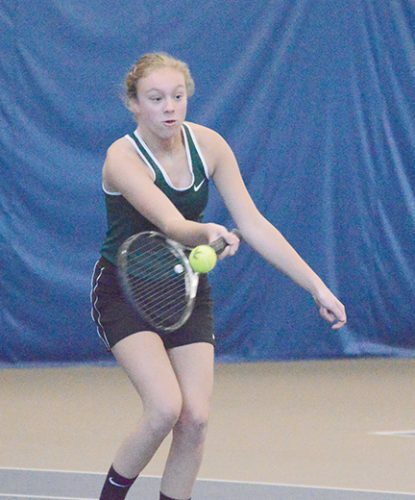 GRAYLING (0-1) at ALPENA (0-1)–Friday (Girls)–The Wildcats were on an even plateau with Sault Ste. Marie early in their opener on Tuesday, but eventually the Wildcats were thrown off by Sault’s full-court pressure. Alpena’s youth showed a little bit with errant passes and turnovers, plus Sault’s front court height denied Alpena some good looks at the basket. Grayling, facing a tough Houghton Lake squad, had the same problems arise and lost 52-16. The Vikings could not get any offensive rhythm and found only minimal success at the free throw line. First-year coach Dan Brandt figured the experience of last season would carry the Vikings in the early going, but Tuesday proved differently. The Vikings have a good nucleus of five seniors, but they little varsity experience. Hailey Hartman is relied on to be the leader of the Vikings, but could not rally Grayling. The Wildcats were in the same boat as Anna Young led the Wildcat effort with six points, while Abby Funk and Mollie Girard both finished with five. 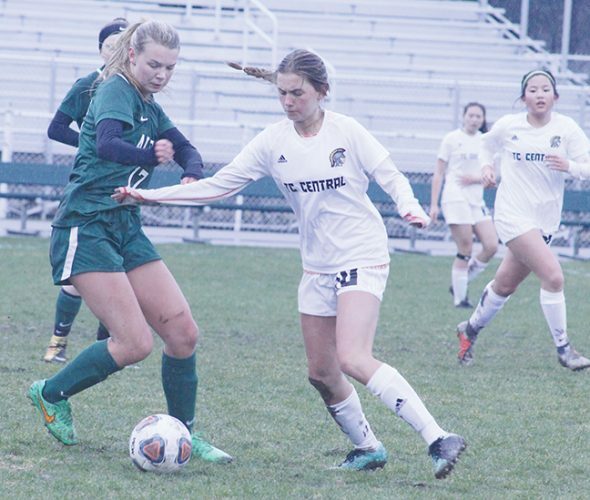 Alpena coach Erin Andrews is hoping the game against Sault was a stepping stone for future success. Now the All-Knowing-One feels the Wildcats will take the experience from Tuesday’s game and a Thursday contest in Gaylord and put it to good use against the Vikings. Swami Sez: Alpena 48, Grayling 30. HILLMAN (0-1) at ROGERS CITY ( 2-0)–Thursday (Boys)–When you’re the defending North Star League division champions as Hillman is, you have a bullseye on your back. The Tigers fought hard in their opener, but couldn’t overcome a double-digit deficit and Oscoda’s duo of Owen Franklin and Gabe Kellstrom, who combined for 44 points. Losing an opener is something the Tigers are not accustomed to. Swami has to give the Tigers credit, after playing an Owls squad that was already playing its third game. The Owls had been averaging 69 points in the first two outings, but Hillman limited them to just 53. Kory Henigan led Hillman with 21 points and Nic Taratuta adding 17 gave the Tigers the chance to pull out the win. The All-Knowing-One says the effort was there, but it just wasn’t in the cards. Rogers City ran out to an early lead and never looked back against Fairview. The Hurons’ defense and the ability to get out in transition made it hard for the Eagles to keep pace. Nick Freel took scoring honors with 16 points while Ethan Hincka and J.D. Ellenberger chipped in with 13 and 12 respectively. Could it be a changing of the guard atop the North Star League? Swami won’t go that for, but a win for Rogers City over Hillman would be huge. The All-Knowing-One knows the Tigers are going to be young and this might just be a learning year, he is not ready to throw in the towel on the Tigers this early in the season. Swami Sez: Rogers City 59, Hillman 51. HALE (0-1) at OSCODA (3-0)–Thursday (Boys)–The Eagles attempted to play a slow paced game against Mio earlier this week, but the Thunderbolts converted from the free throw line and the Eagles had difficulty finding the basket in a 41-34 loss. Joseph Kimmerer was the only Eagle to finish in double figures. The Owls, had a close shave against Hillman, but still came away with a win. Oscoda made things look easy in its first two games and was pushed by Hillman, but Franklin and Kellstrom led the Owls to a win. Add in Brayden Mallak, who usually finishes in double figures and the Owls have a triple threat that will be hard to beat. The All-Knowing-One has a feeling the Owls will be a team to be reckoned with in the North Star League. There could be a log jam at the top of the Big Dipper division and head-to-head wins are going to be important. Expect the Owls to win again Thursday. The Eagles do not have the experience and the ability to stick with Oscoda. It may be close in the beginning, but Oscoda will pull away. Swami Sez: Oscoda 68, Hale 38.